A few more last minute book ideas! These four are published by Chronicle books (distributed in Canada by Raincoast) and can be found in the film and art sections of most book stores. 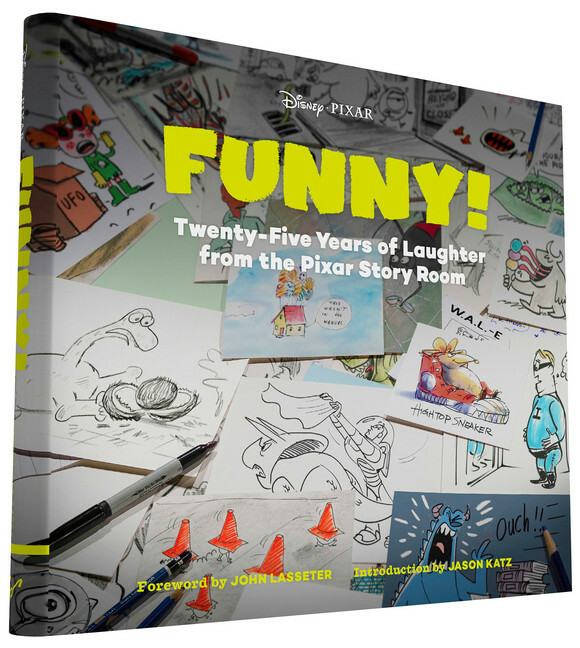 The book opens a foreword by Amy Poehler (voice of Joy) and an introduction by the film’s director Pete Docter, after that, the text is minimal, mostly just with a few words to describe the art work we are viewing. 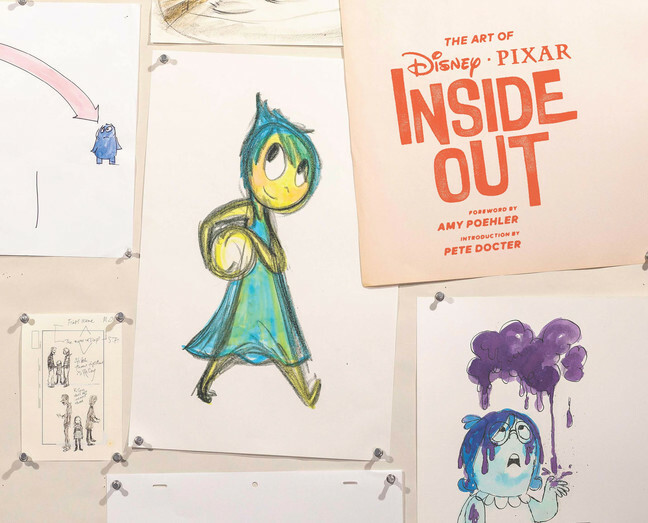 Inside Out was a film that showed us an entirely new visual world – the imagining of what it is like the emotions in the mind – and it is fascinating to see all the images that led to the development of that. While some other ‘art of’ books have a lot of text describing the behind-the-scenes processes, this one does not, letting the abundance of images show us instead. 176 Pages; Published by Chronicle, distributed (in Canada) by Raincoast – for more, see here. 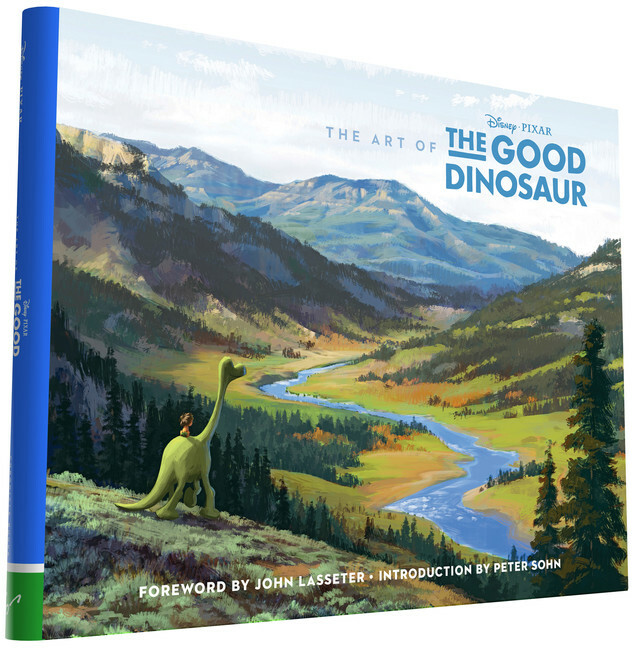 Much like the art book for Inside Out, The Art of The Good Dinosaur takes us behind the scenes in a primarily visual way. We get a foreword by John Lasseter and an introduction by Peter Sohn (director), and the rest is pretty much just images. But that fits the film so well. I just saw The Good Dinosaur this week and loved it. The story is so simple, but emotionally-driven, and the visuals coupled with music really tell the story so well. One interesting thing is the pairing of almost photo-realistic backgrounds with more cartoonish characters, which works surprisingly well. The artwork on display here really shows the development process for a film that went through many incarnations before becoming the finished film we see today, and is a great coffee-table book for film and art lovers alike. 168 Pages; Published by Chronicle, distributed (in Canada) by Raincoast – for more, see here. Sanjay’s Super Team is a short film that plays before The Good Dinosaur in theatres. Directed by Sanjay Patel, the story is based on his own childhood experiences, and shows us a father and son on a Saturday morning as the father tries to pray and his son just wants to watch his superhero cartoons. The charming film shows both a generational culture-clash as well as an eventual acceptance in a simple and very touching way. 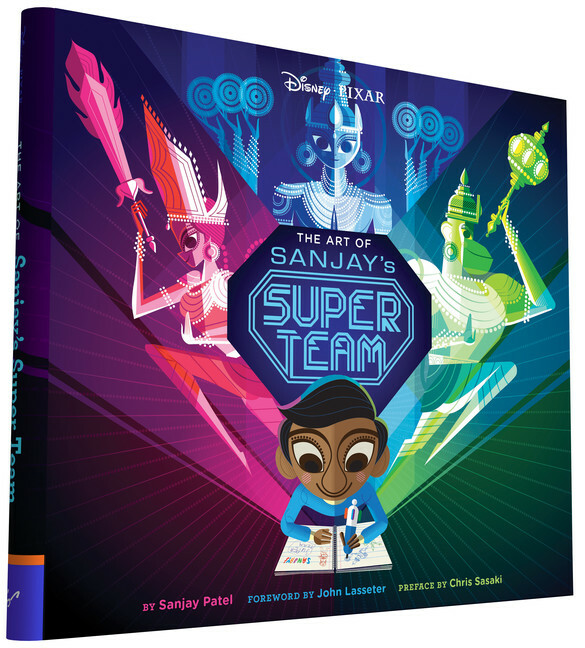 Sanjay Patel, who has been an artist at Pixar for years, writes this book from the perspective of making his short film, while also talking about the inspiration behind it, and showing a ton of the wonderful artwork from the development process. There is so much art that went into this short film, and this book really does it justice. 130 Pages; Published by Chronicle, distributed (in Canada) by Raincoast – for more, see here. This is a fun book filled with the cartoons that we usually never get the privilege to see – those drawn by animators and story artists during the production of the films, often with darker humour, or little observations that don’t make it into the regular ‘art of’ books. The book opens with a foreword by John Lasseter and an introduction by Jason Katz, and finishes with a perfect little cartoon drawing by Disney/Pixar artist Floyd Norman showing the difference between the production stage and the wrap party. Perfectly captured, as cartoonists so often manage to. 160 Pages; Published by Chronicle, distributed by Raincoast – for more, see here.